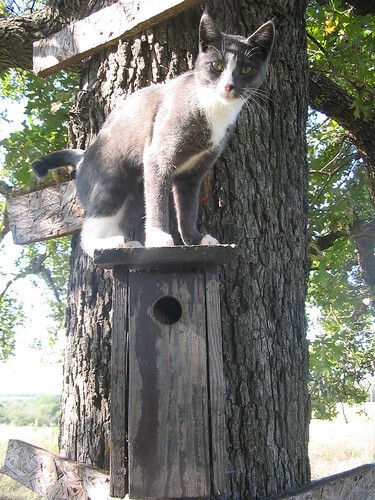 This is my cat on a bird house. lol. No I didn't use photoshop or something, hes really up there.